This super cute Dolly Mixture necklace features tasty looking pastel coloured clay charms on a Silver Plated Chain. 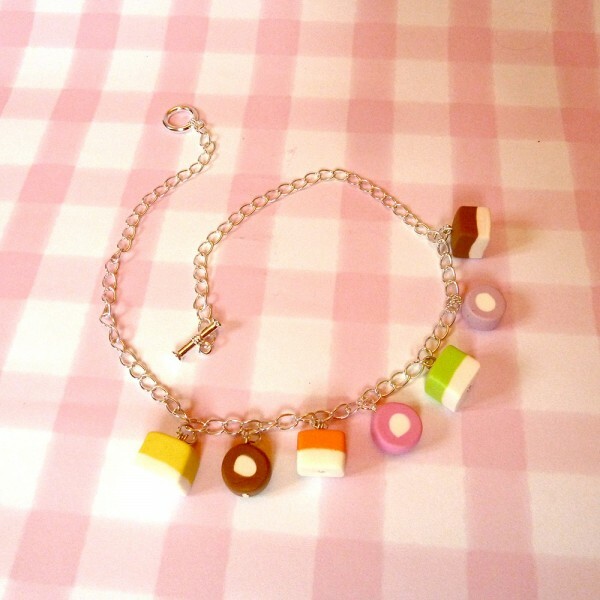 The Dolly Mix charms look good enough to eat, but no nibbling!! Each Charm is made with huge amounts of love and care, so you can guarantee that the quality is tip top! Please remember that all the jewellery is handmade, so the item you receive may be slightly different to the one pictured, but will be of the same design. Please let me know if you would prefer the necklace to be slightly different to this classic style, as they are made by hand, I can make many types of little changes! Availability: Be Quick! Ready to ship, while stocks last. Matching Items are available - Bracelets, Earrings and more! If you like this you're going to love these!